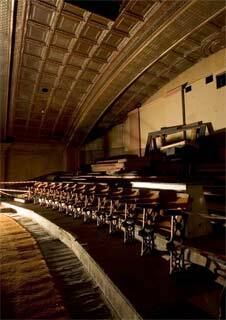 A behind the scenes guided tour of one of the oldest, continuously running cinemas in the UK. A tour of the building will take you behind the scenes of one of the oldest cinemas in the country, built in 1912. Revel in the sweep of the largest remaining example of Skelionite in the magnificent auditorium, relax in the Edwardian Tea Room, marvel at our extensive collection of 20th century film technology and glimpse the astonishing, although as yet unrestored, balcony. On the tour you will be able to contrast the equipment of the 1960’s Stanley Newton projection box with the cutting edge 4k digital technology in the modern projection room. Please note our building has a lot of steps to climb which will affect customers with mobility issues.